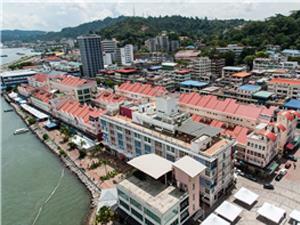 Sandakan is more than just the second largest city in Sabah. It’s also quickly becoming one of Borneo’s most popular destinations due to the way it comes along with a little something wonderful for everyone. Nature enthusiasts should make it a point to visit Sandakan’s local crocodile farm (the largest in Malaysia). The Turtle Islands National Park is another go-to point of interest for nature lovers and tourists looking to see the best of Malaysia’s beautiful natural resources on display. 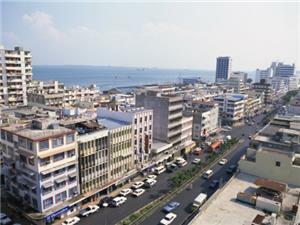 Sandakan is also chock full of other attractions, including some of Malaysia’s most spectacular views. Climb the majestic “100 steps” located just behind the city’s Warisan Museum and enjoy one of the region’s most breathtaking ocean views. You can even enjoy a round of croquet among friends at the English Tea House, as well as some delicious desserts and some of the most incredible teas and coffees to be found anywhere. The Agnes Keith house is a must-see for historians and literature buffs alike, as it is the location where she composed many of her famous works. Dining opportunities for the serious foodie abound, so don’t miss this city if you’re a lover of the best in foreign cuisine. Make getting from place to place during your visit to Sandakan and Malaysia in general a simple process with affordable, convenient options like Sandakan bus travel. Not only is the bus the simplest and easiest way to jet from location to location while you’re in the country thanks to the excellent local transportation network, but it’s inexpensive as well, so you’ll be left with plenty of spending money in your pocket. Eco-conscious travelers love bus travel in Sandakan options because of the way they support the local economy and contribute to their already environmentally sounds lifestyle as well. For more information about Bus to Sandakan, check out details from us today!